Caffé Etc. – Page 2 – Serving healthy food and certified organic shade grown and fair trade coffee in Hollywood since 2004. Serving healthy food and certified organic shade grown and fair trade coffee in Hollywood since 2004. It’s no secret that Caffé Etc. sells Teye guitars. The incredible craftsmanship behind these items makes these beauties some of the most beloved guitars among artists who take their music seriously. Teye, a Dutch guitar player known for his flamenco-style work is also the man behind these guitars. In the 60s, Teye learned to play the guitar, which provided him with a world of possibilities. After moving back and forth between home and England, Teye went back to the Netherlands where he found himself playing in several rock and roll bands before learning classical guitar. Look at that hair! Image from Teye.com. In the 1980s, Teye moved to Andalusia where he had the opportunity to play flamenco with some of the greatest in classical Spanish music. 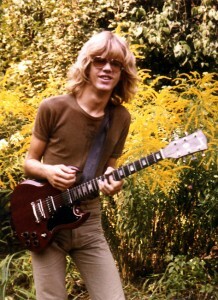 In time, Teye would not only be a great name in music himself, he would also develop a guitar building technique of his own. In the 1990s, Teye moved to Texas where he started his shop. The passion for music and for Andalusia continues to live in Austin where Teye produces the musical gems appreciated by so many of the greats. That’s the story behind the guitars we sell at Caffé Etc. Are you curious to know more? Stop by and we’ll let you play a tune or two! Everything we offer customers at Caffé Etc. is good for them. Not only because we have the most delicious healthy food and most yummy organic coffee in Hollywood, but also because everything else we serve — including bottled drinks and sodas — is top quality. Let’s face it, where else in Hollywood would you be able to find the only bottled spring water allowed anywhere near Elvis Presley? Yes. That’s a Mountain Valley bottle of water in his hand! 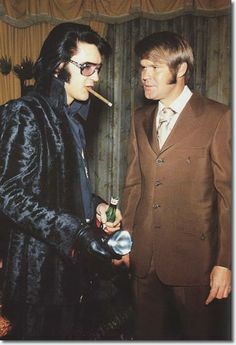 According to the official Mountain Valley Spring’s website, “you can see a supply of Mountain Valley that was delivered to him on display” at his Graceland home to this day! But that’s not Mountain Valley’s only claim to fame. According to Wikipedia, every single president from Calvin Coolidge to Bill Clinton served this very water to their guests at the White House. Frank Sinatra was also a big enthusiast of the brand! According to Wikipedia, the Mountain Valley spring water was tested after the Food and Drug Administration accused the company of exaggerating the benefits of drinking the spring water. The result of some of these tests showed that the water’s low-sodium content was beneficial to consumers. The tests also demonstrated that patients with rheumatism, kidney, or liver disorders all experienced health improvements after being exposed to the product. Did the FDA end up forcing the company to change its marketing strategies? Of course not! After all, the water appears to actually be great for you! If you have any doubts about these claims, you’re more than welcome to visit our cafe at Hollywood and Selma Ave. in Hollywood, grab a meal, and get a taste of what we are talking about. 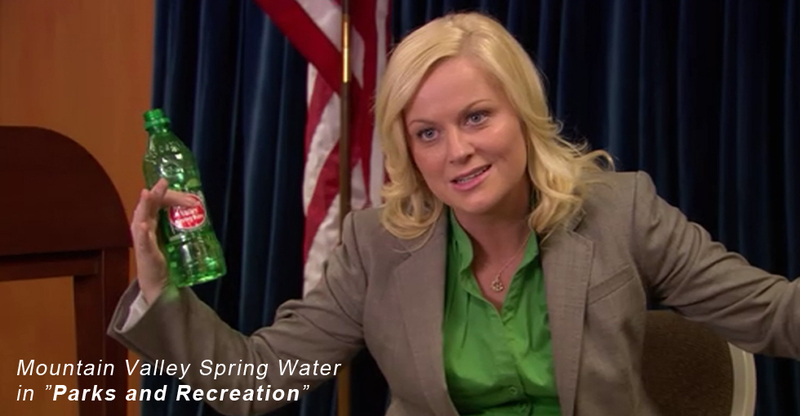 You can also catch a glimpse of it by watching Parks and Recreation! That’s not the only thing the study found out. According to the news source, only caffeinated coffee was found to have links between consumption and lower risks of melanoma. If this study proves truthful, people like you and us at Caffe Etc. have even more incentives to drink more coffee. After all, coffee is one of those beverages that both taste delicious and do wonders to our health. It’s easy to go on with our daily lives without ever coming to realize what’s behind all the Hollywood businesses and their facades. The stories that have made our neighborhood so special hide behind all the new colors and flavors we appreciate daily, but every now and then, something sparks our interest. Our interest in Hollywood history has always been an important part of what we do at Caffé Etc. In the building that now houses the best café in Hollywood, Rolling Stone’s latest cover girl Stevie Nicks once recorded. With Fleetwood Mac, the fiery rock goddess used her signature voice to bring joy and rock to our lives. The once Wally Heider’s studio also welcomed David Bowie, Eric Clapton, and many others. 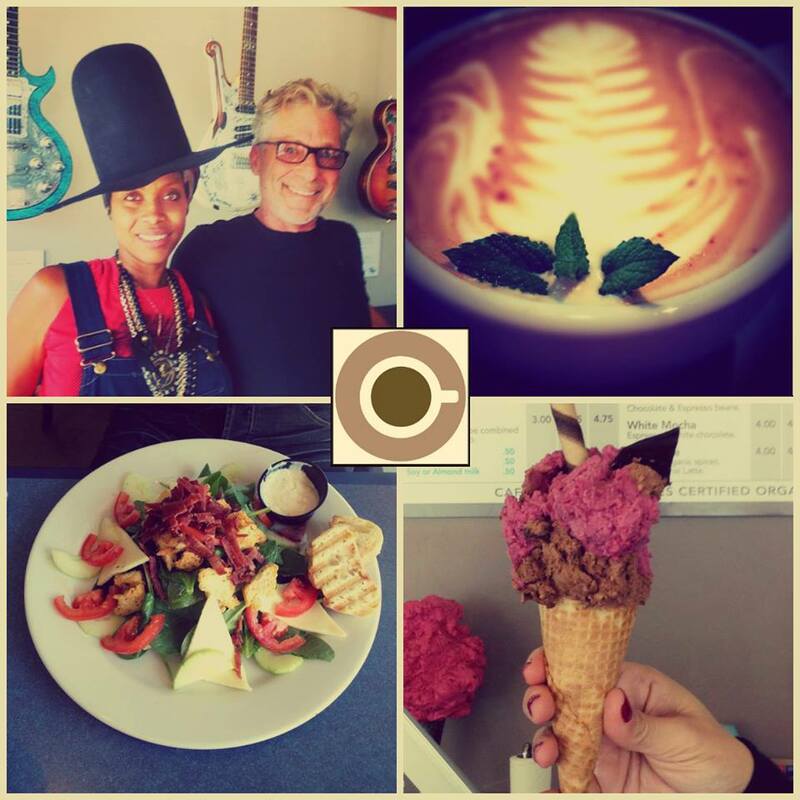 Now, Erikah Badu and the members of ZZ Top stop by for coffee. Whether you’re a coffee or a history enthusiast, this corner of Hollywood welcomes you to stop by and live some of the excitement of knowing you are sharing the same space as some of the greatest in music history. After all, it’s not every day that you get a chance to drink a Hollywood latte next to the very artist playing through your headphones! Come see us at 6371 Selma Ave, Hollywood!